another day at North Avenue Beach! summertime, summertime, sum sum summertime!!! getting the good sun whilst it's here has been our lil moto at Rose Photo these last few shoots. from Millennium Park up to The Chicago Botanical Gardens and back down to North Avenue Beach, we have been making our rounds with the photo love. this stop at the beach took place early, early morning to catch the perfect, soft light and keep a happy and energetic 1 1/2 year old smiley. 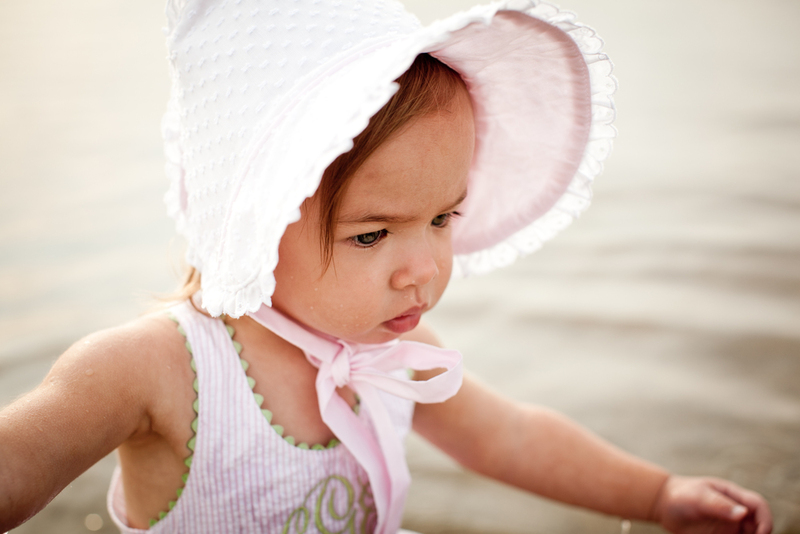 with a few bonnet and bow changes to add to miss Lotte's wardrobe, her stylist ( mama) was prepared with the cutest beach looks!! Lotte, you rocked the summer sun, girlfriend. can't wait to see your fall look in a few short months.